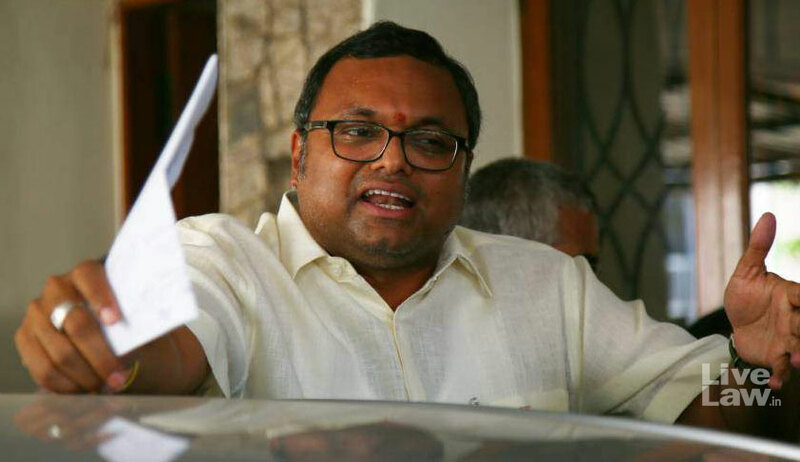 The Supreme Court bench of Chief Justice Dipak Misra, Justice DY Chandrachud and Justice AM Khanwilkar on Monday granted permission to Karti Chidambaram to travel to the United Kingdom in December. Karti Chidambaram, son of former Union Finance Minister P. Chidambaram, is under investigation for his prima facie involvement in the INX Media case pertaining to alleged irregularities in Foreign Investment Promotion Board (FIPB) clearances to media executives Peter and Indrani Mukherjee-owned company, INX Media, for receiving overseas funds amounting to Rs 305 crore in 2007, when P Chidambaram held office as the Finance Minister. Accordingly, on May 15 this year, a FIR was registered by the CBI against Karti under sections 8, 13(1)(d) and 13(2) of the Prevention of Corruption Act of 1988, and section 420 read with section 120 B of the IPC. Subsequently, the CBI had also issued lookout circulars dated June 16 and July 18, impounding Karti’s passport and forbidding him from leaving the country without its permission. At the previous hearing on Thursday, the apex court had directed Additional Solicitor General (ASG) Tushar Mehta, appearing for the CBI, to procure instructions therefrom on the plea of the present respondent for permission to travel to Britain between December 1 and December 10 in connection with his daughter’s admission at the Cambridge University. On Monday, the top court acceded to the respondent’s request subject to certain conditions, namely, the submission of an affidavit stating his flight details within 3 days, an undertaking that he shall return to India by December 10 and an affidavit to be filed post his return stating whether or not the admission was granted. The court also made it clear that the non-compliance with any of these conditions would be deemed to amount to contempt of court and the respondent “shall face such consequences as may be deemed fit and proper”. The matter is next listed for hearing on January 5.